Depression is something that I have dealt with for a several years, every day I manage the condition, some are better than others but I know that the more positive I am the easier it is to manage. It is not a condition that will ever completely go away, it is not like having an illness that you can put a plaster on and hope that it will heal on its own. Some people manage with medication, others with different strategies that allows them to manage their own condition. It was my choice a few years ago to come off the medication and to concentrate on other forms of treatment. 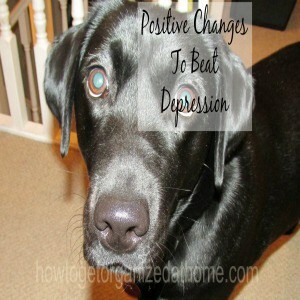 The best way to manage depression is to make positive changes that help you to move forward in life. If you are looking for a way to make you feel better, then consider some form of exercise, it can release endorphins in the brain and it can help you feel better. The problem for me is having the time to exercise and the anxiety that can affect me from going out on my own. The positive changes that I have made are making sure that I go out with the dogs, I use them to help with my anxiety and this makes exercise possible, helping me especially if I am having a difficult time. It is possible to reduce the symptoms of depression for some people. There are those that have a case of depression and are able to move forward, others find they have a life sentence. The best way to move forward is to accept that it is a part of who you are and it is a daily struggle for years, or to try to make positive steps to feel better and able to manage the condition. At the beginning, I never thought this would be possible, but with time and taking positive steps forward, I have found that while some days are difficult to deal with others I can manage to even forget the depression and feel that I have taken a positive step in the right direction. Look at depression as a part of you and not that you have a tie, which is depression, it can give you a new way to move forward. For me this was a game changer, I accepted that depression was a part of me that I need to deal with, but it was no longer the controlling factor in my life, I have taken back that power and it has made me feel in control. Depression is not the same for everyone; it can affect a person differently. It is a prolonged period where you feel sad, not just a little bit sad but sadness that continues and doesn’t seem to go away. Normal daily functions can become a chore and it can make you feel worse, life in itself becomes difficult, you might want to sleep more or you might find that sleep is not easy and all these are normal aspects of dealing with depression. Talking these through with a professional is important, it can help; they might offer medication or therapy, even both. There is nothing wrong with taking medication for depression, it’s an illness you need to treat, it is no different from taking medication for a headache, or putting a plaster cast on a broken leg. Your brain has a chemical imbalance and it needs help to sort it out. Therefore, if you are looking for ways to beat depression, look at the small positive steps you can take daily to help manage depression and not let it take control of who you are and what you want to do in your life. this is one of the BEST. and most (accurately) INFORMATIVE. POSTS. on depression I have read in a LONG. LONG. TIME. I love the analogy you use of “a short time thing, or a life sentence” to differentiate between the two! I always have a hard time with that. I also really liked what you said about simply accepting it is a part of you, but not letting it DEFINE you… I’m bad at that lol but need to get better. And Thank You for this statement: “There is nothing wrong with taking medication for depression, it’s an illness you need to treat…Your brain has a chemical imbalance and it needs help to sort it out.” I appreciate that. I appreciate this entire post. Full of great stuff, but not condemnation. HELPFUL suggestions. Depression is so difficult… I’ve battled it for years. And I agree that exercise is so important. I’m so thankful for your post! It is a comfort to know we are not alone. Blessings to you! I love that you included exercise in helping with depression. Exercise is one of the best things you can do to make you feel better. I myself I’m terrible at making myself actually do it, but I make sure I get my kids out to exercise almost everyday, and their moods are way better from it. I also hope they will continue it through their lives, and help them combat depression and anxiety in their lives. Great post thanks for sharing this. 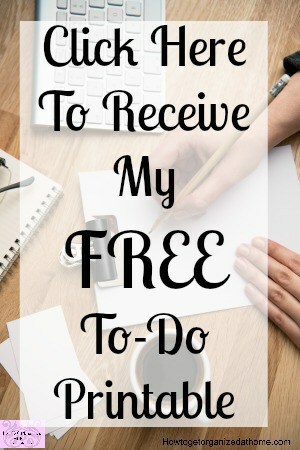 Popping over from the Monday Madness link up party =) Know what else helps with depression? People like you sharing their stories and tips. Others will know they are not alone and depression can be helped. Thank you for sharing!